A former Apple TV engineer who caused a firestorm earlier this weekend with a tweet about the new Apple TV UI is now clarifying things a bit. Fun fact – those new designs were tossed out 5 years ago because SJ didn’t like them. Now there is nobody to say “no” to bad design. “SJ” of course being Apple co-founder Steve Jobs. Mr. Margolis has now been talking with various websites trying to clarify the situation and why it doesn’t quite spell the doom scenario for Apple that so many people have been painting it as. The new UI shouldn’t come as a surprise to anyone. There is a clear effort at Apple to make everything match the look and feel of their popular iOS products – starting with Lion and increasing momentum with Mountain Lion. To be clear – he didn’t like the original grid. This was before the iPhone was popular and before the iPad even existed. 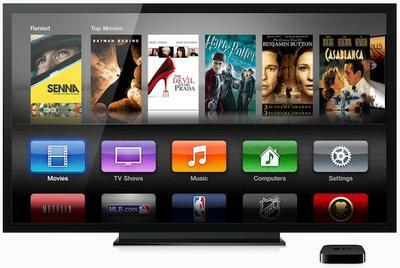 Given that the iPad is far more successful than the AppleTV, migrating the AppleTV to look more like the iPad was probably a very smart move – even if some of the users of the old UI don’t prefer the new one. Steve rejecting a design five years ago isn’t a huge deal. Steve was well known for rejecting ideas, tweaking them, and turning them into something even better. And that’s a very good thing. One of my favorite parts of working at Apple was knowing that SJ said “no” to most everything initially, even if he later came to like it, advocate for it, and eventually proudly present it on stage. This helped the company stay focused and drove people to constantly improve, iterate, and turn the proverbial knob to 11 on everything. Essentially it sounds like there is just nothing more to this story than a simple tweet being misconstrued. As I said, though, when it comes to Apple, apparently even off-hand comments can mean the world.